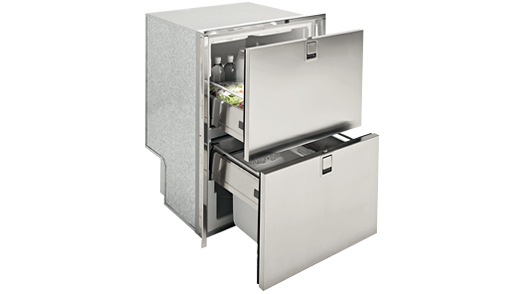 The Drawer 160 Frost-Free Fridge/Freezer/Ice Maker consists of a fridge drawer, freezer drawer, and the additional convenience of an ice maker. This model uses a periodic defrost cycle to keep it frost-free and produces white ice. 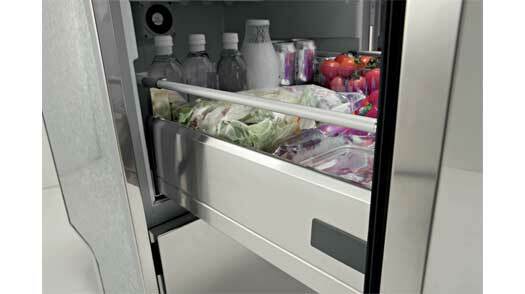 A white ice maker uses less energy and water to function. It produces common household ice (just like using ice cube trays). 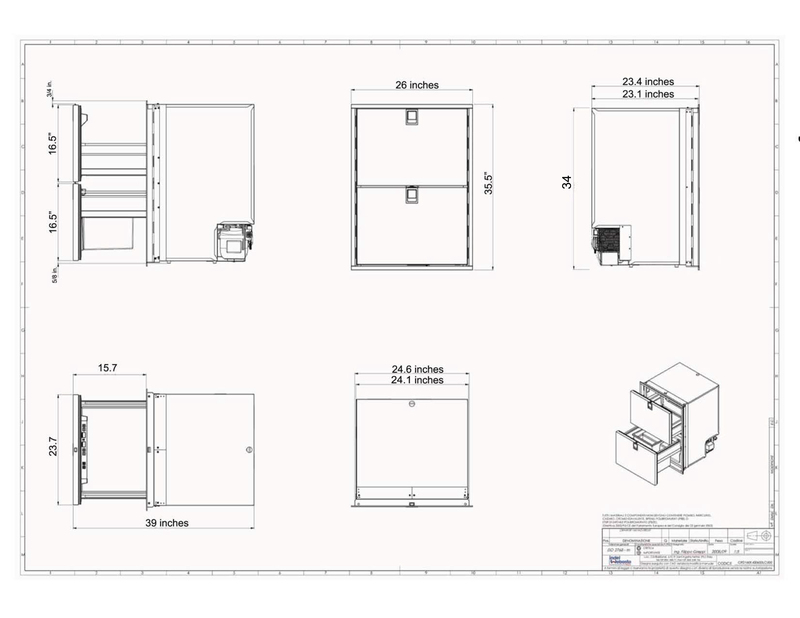 Total cubic feet is 5.5. 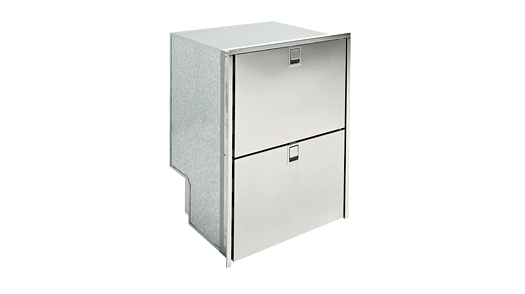 The upper drawer fridge is 3.2 cubic feet, bottom drawer is 2.3 cubic feet, and the ice case is 6 liters.